Little Cliche is in the kitty hospital right now. 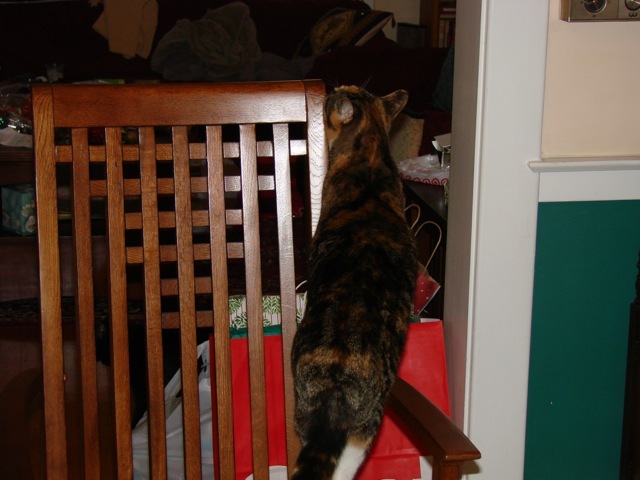 She’s sick — has urinary stones and potentially has an infection. 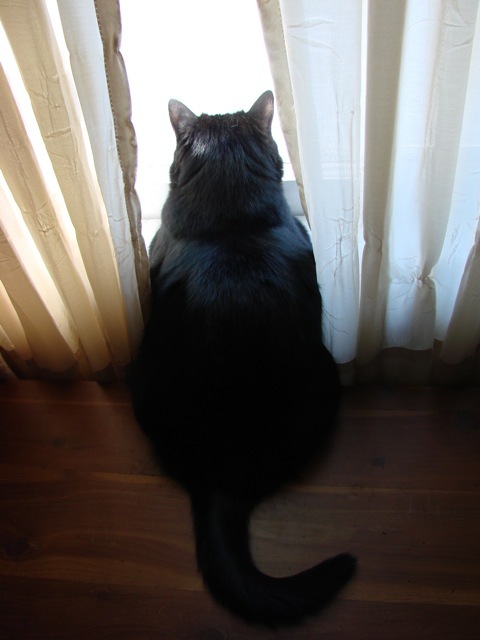 We are a bit worried about her, so I figured I should post another picture of the kitties — because that cures ’em, right?Here’s Cliche in her morning pose — looking out the bedroom window, checking out the ‘hood. As I was grading papers this evening, and Tillie looked so cute this lying on the radiator. 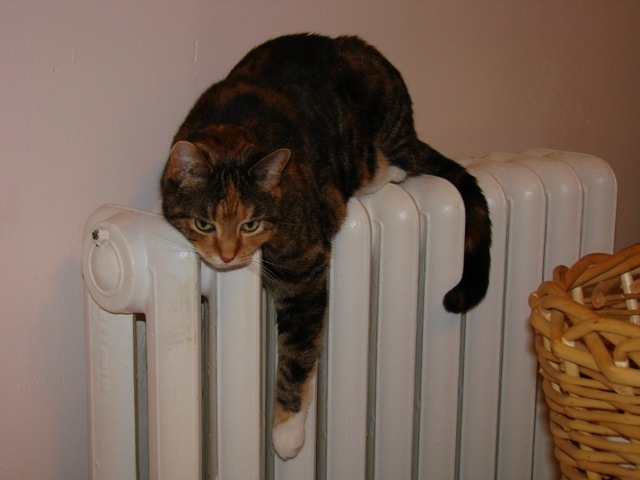 She likes to lie on hot radiators, and I got the whole warmth factor — but these are hot! I’m not sure how her little kitteny toes can handle it. But they seem to hold up. I realize it has been awhile. And it’s not Friday. 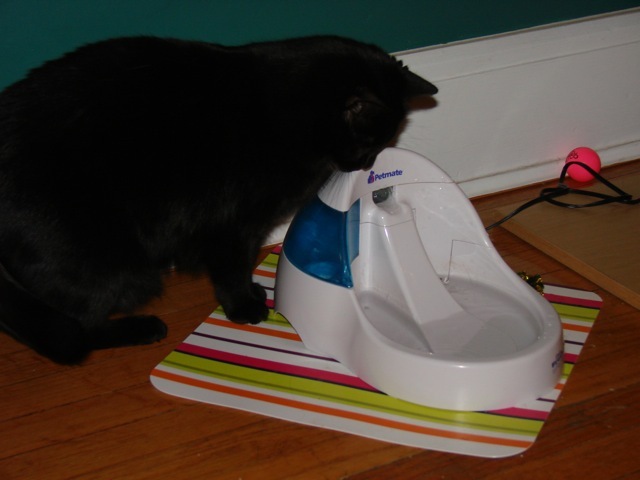 But here goes:Here is a picture of Cliche by her favorite piece of furniture in the house — the cat fountain. Does that count as furniture?